I have been producing signs using various techniques for more than twenty-five years. This includes hand lettering, glass and surface gilding and pictorials. 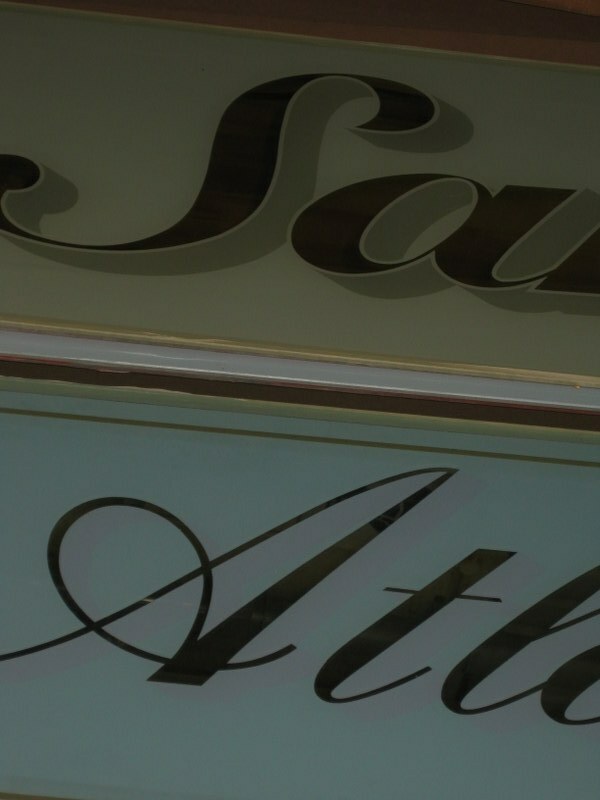 Over the years I have worked with both small businesses, larger chains and been contracted by several London councils to undertake work for shop-front improvement schemes. My long-standing relationship with Camden Market was established in the early nineties when it was the location of my first workshop. Good design is integral to a successful sign and as such I work with clients to develop and produce effective signs to get their business noticed in the right way. These designs frequently become the basis for the house style stationery and other purposes. That said, existing artworks can always be accommodated or adapted. The workshop is based in West London where clients are always welcome to view work in progress by arrangement. Diane handles the computerised graphics side of the business as well as running the office. Please visit the other pages on this site to find out more about us and what we do. Peter O'Connor Signwriter Central London and Elsewhere. Sign writer, Sign painter, Sign design, Gilding, Hand lettering, Sign construction.